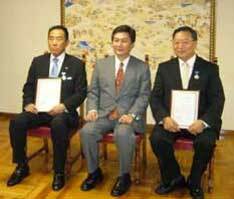 As a Representative of the FOTUN JAPAN, I will do my utmost effort to serve as a bridge connecting private good will to international contribution across every frame as countries and religion, etc. 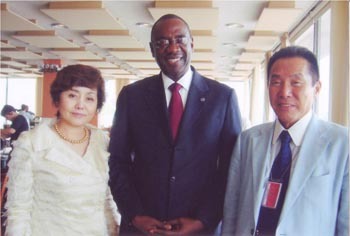 Chairman Shimoji and Representative Director Tokuda visited UN in New York as Special Director and Representative Director of FOTUN Japan to meet Mr. Cheick S. Diarra, Under-Secretary-General and High Representative of UN-OHRLLS, and Ms. Mieko Ikegame, Senior Programme Coordinator & Special Adviser on Africa. 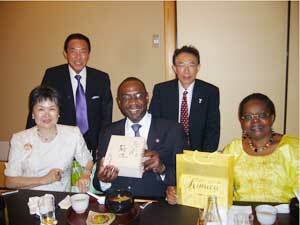 The main agenda was to create business opportunity between Japan and African countries. They also discussed about how to promote effective reuse activities in African countries and Japan. Training program of car repairman for people in African and undeveloped countries under the leadership of FOUN Japan will start soon. Founded in 1947, the UN Singers has performed over the years in the United States, Spain, Argentina, Barbados, Trinidad & Tobago, Japan and many other countries. Functioning as unofficial good will ambassadors, UN Singers aim to spread the message of friendship and understanding among peoples, and does not receive any performance fees. They will perform in Japan from October 25th to October 31 2009. 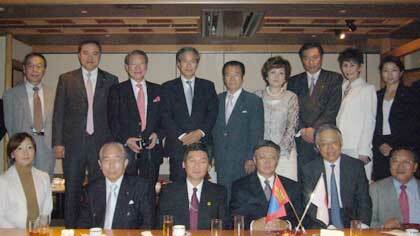 On July 16, 2009, JEPA hosted a party welcoming H.E. 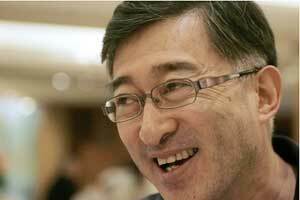 Prime Minster Sanjaa Bayar of Mongolia. 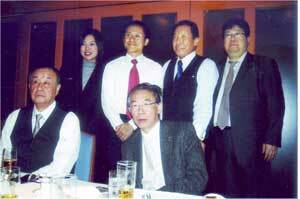 JEPA has been kept friendship with Mongolian government and entrepreneurs long term. The party was successful in a friendly atmosphere. 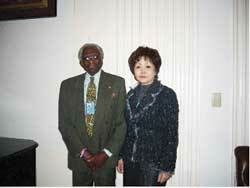 On June 29, 2009, a welcoming dinner was held for NY UN officials, Mr. Cheick S. Diarra, Under-Secretary-General and High Representative for UN-OHRLLS, and Ms. Mieko Ikegame, Senior Program Coordinator OSAA, at the Japanese restaurant in Tokyo hosted by JEPA. H.E. 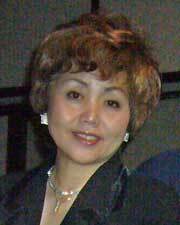 Ambassador Ms. M. Diall Guisse of Embassy of the Republic of Mali in Japan was also presented. 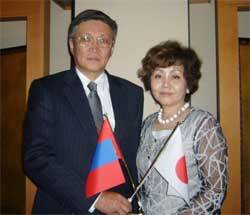 JEPA’s long time activities of economic exchange between Japan and Mongolia at the private level was evaluated highly. The decoration ceremony was held at the Mongolian Embassy in Tokyo, and the decoration was handed to Chairman Shimoji from H.E. Ambassador of Bhutan Mr. Rentsendoo Jigjid. Prof. Pema Gyalpo was also awarded the same decoration. To deepen the contents of the meeting between Sir Li, Chairman and CEO of the Bank of East Asia and Chairman Shimoji, staff in charge of Private banking and Wealth Management visited Tokyo to meet JEPA members. A positive question-and-answer session was held in the meeting. 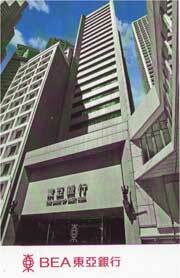 The Bank of East Asia has been authorized by Chinese government to publish Yuan-denominated bond in Hong Kong market. Together with Chairman Shimoji and Prof. Pema Gyalpo, Mr. Thondup paid a courtesy visit to Governor of Okinawa Prefecture and Chairperson of Okinawa Prefectural Assembly. 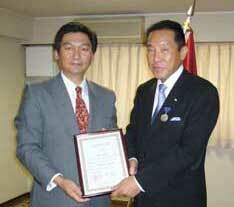 It was the first time Mr. Thondup to visit Okinawa.